As always, you articulated my thoughts and feelings in a way I never could. Thank you so much for your wonderful words of wisdom. 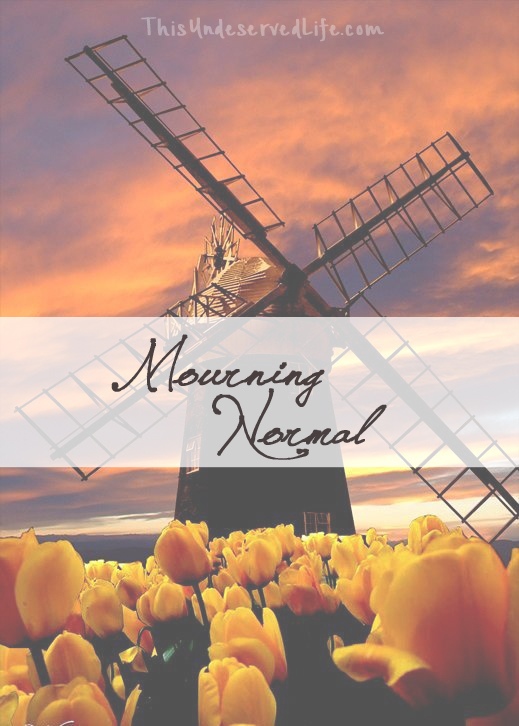 I, too, am an mourning for my Paris and am just settling for Holland. Maybe soon I will learn to love Holland. I was devastated to land in Holland. I survived Holland but have since chosen to take a trip to Turkey!! Just because we land in Holland doesn’t mean we have to stay there. However, I am immensely thankful not to be in Paris. Thank you for sharing and I thank my sister-in-law, no just my sister Marci for sharing this with me. You are so right and I do long for normal, even though normal I will never be again, and I’m working on it being okay! See my plane didn’t land in Paris or Holland, it crashed and I got caught in the wreckage! But thank God I have found a few people to talk to, my wonderful sister being one of them. I am so glad that just when I need it the most someone understands and puts my feelings into words so eloquently! It sounds like you are in survival mode. What a blessing to have loved ones during your time. ❤️ You’re never as alone as you may feel! What is normal or better yet where is normal? When our lives had the major crash it rocked our normal. Not sure if it can be called Holland or Turkey but no matter where we are we have each other and God who gives us the strength to strive to find normal again what ever that might be, and not the setting on a washing machine. Next Next post: Where Did My Fun Go?